The Stingers announced another offseason recruit early Friday evening. 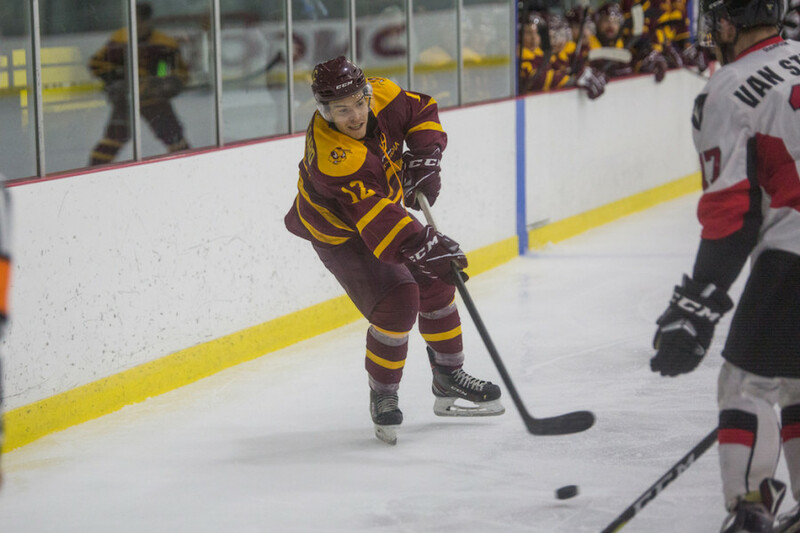 Veteran defender of the Quebec Major Junior Hockey League and a native of St-Anne-de-Bellevue, Bradley Lalonde will be wearing maroon and gold next season. Lalonde is an offensive and mobile defender. He made his presence known at both ends of the rink during his five seasons with the QMJHL’s Cape Breton Screaming Eagles, Victoriaville Tigers, and Baie-Comeau Drakkar. In that time span, he scored 166 points, including 57 in just 59 games during his final season of junior play. His high level of production came from a combination of Lalonde’s speed and mobility along with a heavy slapshot that earned him a reputation as a powerplay threat across the QMJHL. His style and capabilities should fit well with a Concordia team known for its speed and offensive output. The Stingers finished top ten in the nation in goals and shots per game as well as powerplay goals. Alexandre Gosselin, a former teammate of Lalonde’s in Cape Breton, found himself on the Ontario University Athletics East all-rookie team for the 2016-2017. Last year, Carl Neill represented the team on the OUA East and U Sports all-rookie teams while leading the country in scoring as a defender. Head coach Marc Andre Elément convinced Lalonde to return to his Montreal roots for his rookie season of university hockey. The Stingers’ newest defender first visited Concordia University over the holiday break.